What a great idea! 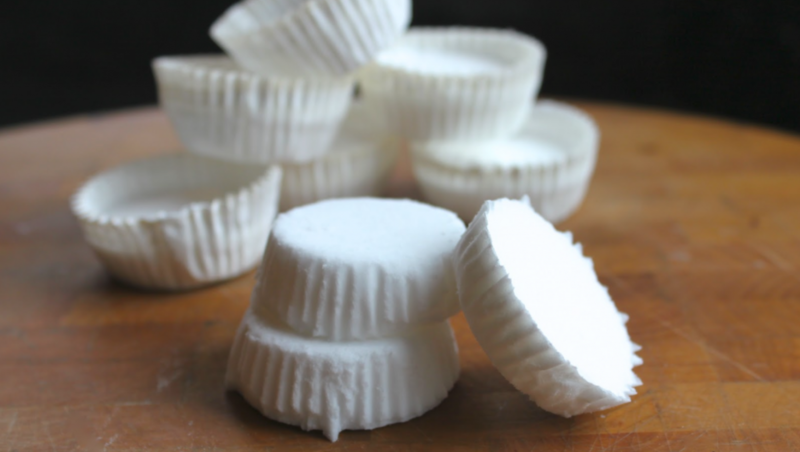 Anya created these “shower soothers” which are small cakes of baking soda, essential oils and other ingredients. What you do is turn on the shower to the temperature you’d like. You place a shower soother on the floor of the shower, out of the direct spray. The steam from the shower will create a vapor that will help to relieve congestion and clear your sinuses. One essential oil she uses is peppermint oil, which helps your respiratory system. The clean scent is also wonderful if you’re not feeling well. She uses another essential oil that helps to open your airways. She includes a recipe and tutorial for making the Shower Soothers. Then she explains how to use them. Very creative! Click on the DIY Peppermint Shower Soothers To Fight Against Colds and Flu link below to see Anya’s Shower Soother recipe.